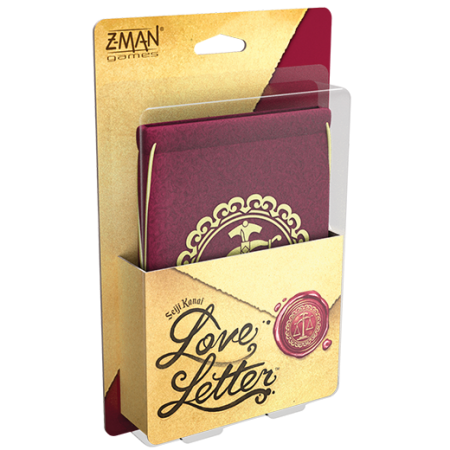 Z-Man Games Announces a new version of Love Letter that plays up to 6 players with new cards and all new illustration. This gorgeous new edition of Love Letter will be $11.99 and release in summer 2019. Love Letter is a quick card game of risk and deduction. 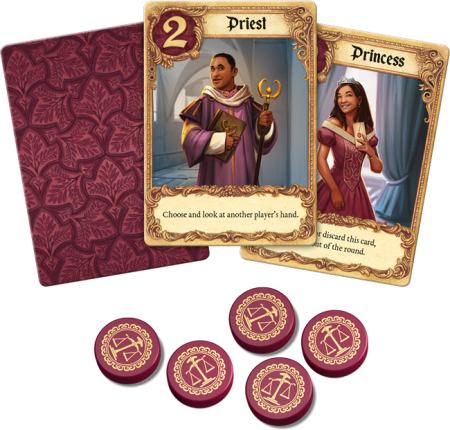 Can you outwit your friends and earn the trust of the noble Princess? With quick and easy gameplay, Love Letter is perfect casual game for any occasion. 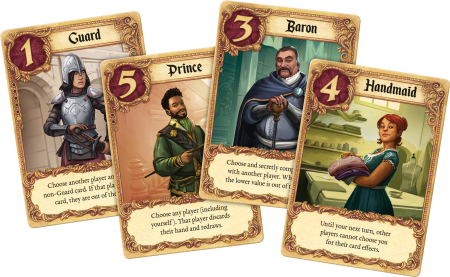 Love Letter remains the fast, portable card game you know and love, but now this award-winning game has a set of gorgeous new illustrations by Citadels artist Andrew Bosley, including a couple of new characters, now enabling game play for up to 6 players. We’ll cover the new characters and other game play features in more detail in future articles so keep an eye out! This edition also features a beautiful gold screen print of the iconic balance scale from the original Love Letter on both the bag and tokens. 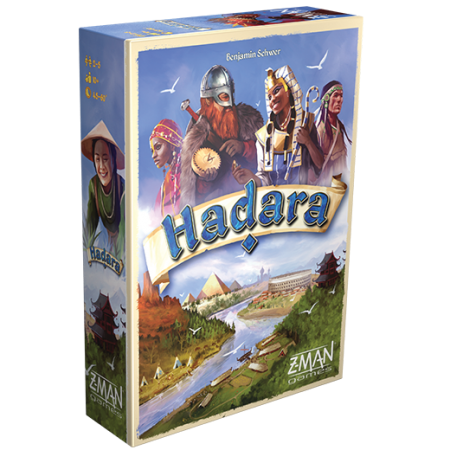 A civilization building game with an innovative card selection system, Hadara lets players strategically select allies and develop new technologies to build their strength, culture, and prestige as they grow their civilization through the epochs of human history. Every civilization has to start somewhere. From humble beginnings and minimal resources, you will guide the growth of your civilization as new ideas take hold and you make great strides forward in the many fields of human achievement to build an empire more glorious than any other. Over the course of three epochs, you’ll have the chance to make your mark on history. In Hadara, Arabic for “culture”, the key to advancing your civilization is recruiting people from many different cultures to bring their knowledge and skills in and expand your new empire. Will you focus on military strength or will you bring in merchants to focus on wealth? Skilled artisans, philosophers, warriors, architects, and more from many different cultures will bring their genius to aid you in your endeavors, but it rests with you to choose the best allies to build your nation. Each epoch will bring more skilled workers with a higher cost but often a higher payoff as well. If you already have established your military strength, recruiting more people for your military will be cheaper. Don’t forget the other categories though! An empire without agriculture can’t feed its people. 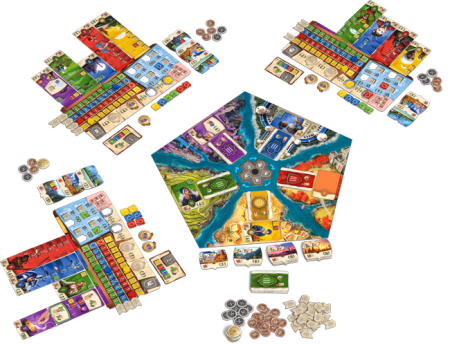 Shape your civilization, stymie your opponents, and create a legacy for the ages! Hadara will be $59.99 and is scheduled for release in spring 2019. Create a stone garden with everything in its place. Coming soon from Z-Man Games, a compact game of elegant simplicity, in Narabi players work together to untangle the chaotic placement of stones to create harmonious, numerical order in their stone garden. With quick play, light strategy, and hundreds of card combinations, this is a must-have title. 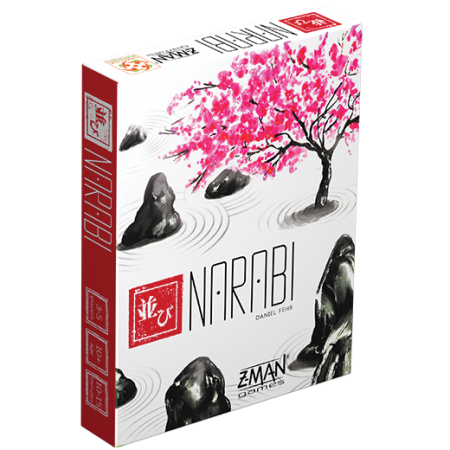 Pre-order your copy of Narabi through the Z-Man Games website or your local retailers. A perfect stone garden is carefully arranged to create a feeling of harmony and peace. Working together, players must move stones one at a time to place the stones in numerical order, either clockwise or counterclockwise, in as few moves as possible. If players can find order from the chaos, they win! Once you have set up the game and randomly sleeved the restriction cards with the stone cards, each player will get a set of stones in front of them. With three players, each player will get four stones each. With four or five players, each player will get three stones in front of them. 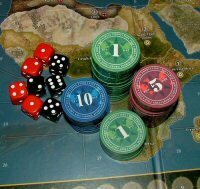 Once the stones are randomly dealt out, players must work together to figure out the puzzle. Players can look at the restrictions on their own stones. Then with limited table talk, players can try to deduce the best movements allowed within each stone’s restriction to strategically change the numerical order. On a player’s turn they must move a stone. So giving one player a 7 next to their 8 may seem like the best move but that 7 or 8 might have to move on their turn. Will you be able to achieve true serenity? Narabi will be $14.99 and on shelves very soon! 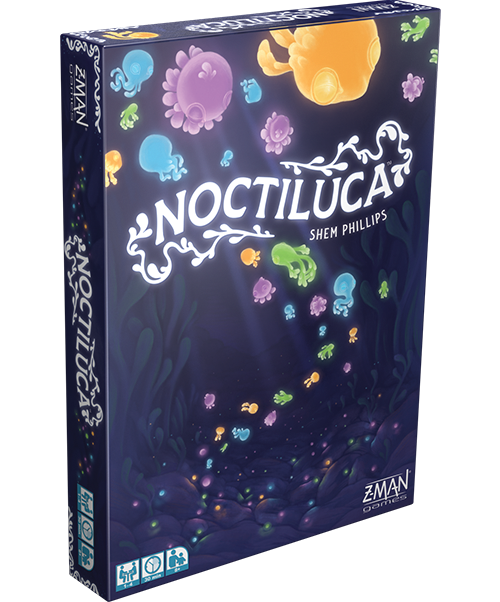 Z-Man Games are thrilled to announce Noctiluca, an engaging abstract game from acclaimed designer Shem Phillips. Renowned for their restorative properties, the noctiluca are desired by many healers. Players must carefully plan their path before diving into the water to collect these mysterious glowing creatures. 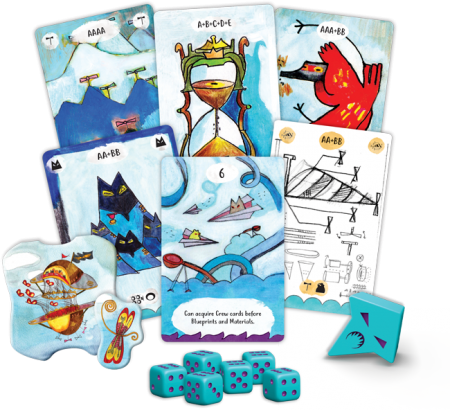 With a beautiful double-sided game board, up to four players can compete against each other, or one player can rescue noctiluca from the tempest in the included solo mode. Pre-order your copy of Noctiluca through their webstore or your local retailer today. 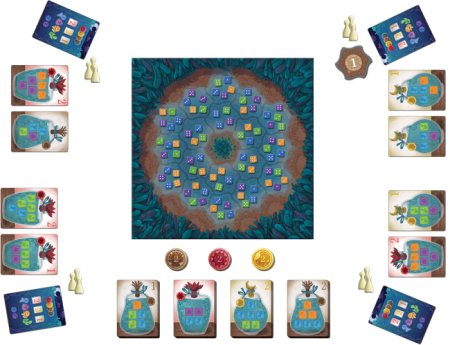 In Noctiluca, 104 colorful dice fill the pool on the game board to represent the different glowing noctiluca. 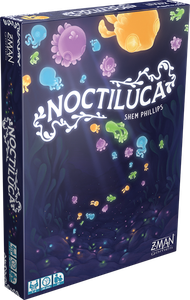 Players will take turns diving in to the water from the edges of the shore to collect the noctiluca dice from the board and keep them safely in jars until they can deliver them to healers. After two rounds, players will compare points from their successful deliveries and the player with the most points will win. 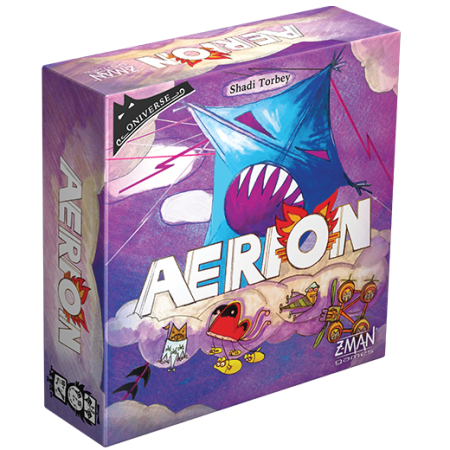 Aerion is a solo/cooperative game for one to two players published by Z-Man Games. Your goal is to build six airships to create the most beautiful fleet in the Oniverse. By rolling dice and managing your resources, you must find the best blueprints, materials, and crew for each ship. Can you build the best fleet in time? The Archonts want a full fleet of six airships. You have the skills to build what they demand, but you must weigh your options carefully to get the components you need. Each ship requires a sound blueprint, the correct materials, and a trusty crew. Humanity yearns for the stars and the race to explore is in full swing! 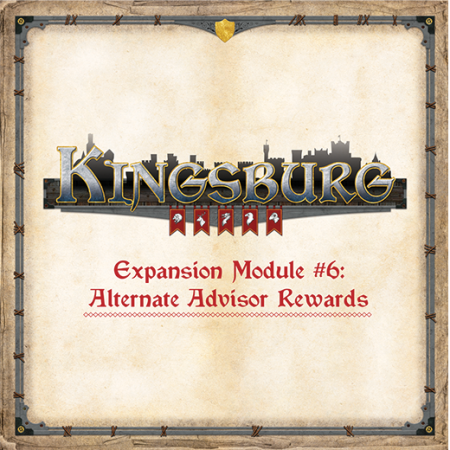 With everyone wanting to claim their spot in history and start the golden age of space exploration, you must make strategic choices to outwit your opponents. 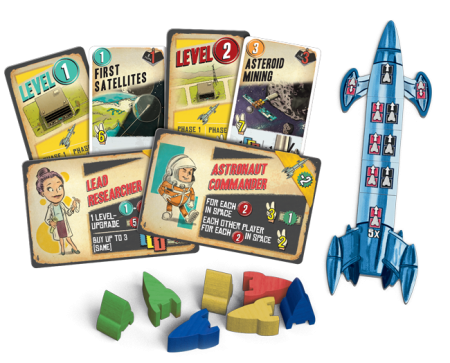 Compete against other agencies to hire the best specialists, expand your research, upgrade your rocket, and complete missions in this retro resource management game. Lift Off will be $59.99 and release in spring 2019. 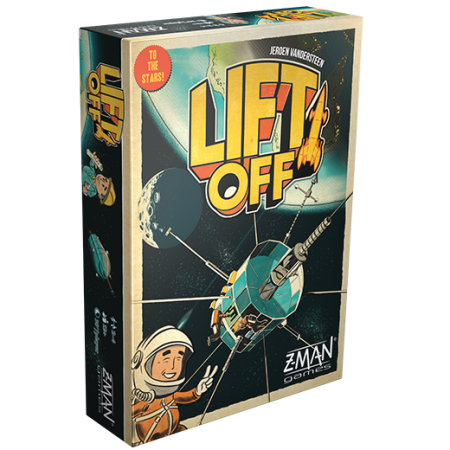 You can pre-order your copy of Lift Off through Z-Man Games or your local retailer today! The unexplored cosmos awaits you in Lift Off. Build your space agency and compete to claim the most glorious milestones of space travel. New research has refined techniques to send astronauts into space. Specialists in the field will give your agency the edge. Bring a lead researcher or astronaut commander onboard and prepare for launch. With the skills and technology to reach space finally within humanity’s grasp, there are many different possibilities to explore. Send up the first satellites, mine minerals from asteroids, build an orbital trading post, or land on a new planet. Select your missions carefully. A more complex mission will have a bigger payoff for your agency but will require more work. To prepare for your missions you’ll need to develop technologies: life support, oxygen, energy, and fuel. You’ll also need to carefully manage your agency’s funds to upgrade your rocket to carry larger loads and fly more efficiently with rocket boosters. An upgraded rocket will be better suited to tackle the more ambitious missions. Plan ahead and your agency will win the race to the stars!